Brianne started out by having me answer questions about my current skincare routine, my goals for my skin and my concerns. She then did an analysis of my skin before deciding exactly what my facial would entail. One of the best things about going to a small business for a service such as skincare, is she can customize it to fit your exact needs without additional charges (within reason). One of the reasons Brianne left the chain she was working for previously, is that as an employee she was asked to do a “standard facial” on everyone and customizations were extra. One of the ways Pure and Lovely Skincare is unique is that Brianne will customize it to you, thus rendering your facial much more beneficial to you than if you were to visit a chain. My biggest concerns are that my skin is dull and uneven. My goals are to brighten it up and reduce redness. After analyzing my skin, she agreed, while adding on I also had some congestion and dehydration. My facial lasted a little over an hour where she gave me all the traditional treatments, plus whatever was necessary to address the concerns. There was Vitamin C Serums for brightness, extractions, moisturizing masks for the dehydration, and so much more. She played relaxing music, diffused essential oils, and the bed is heated! The whole experience was so relaxing and my skin felt amazing afterwards. 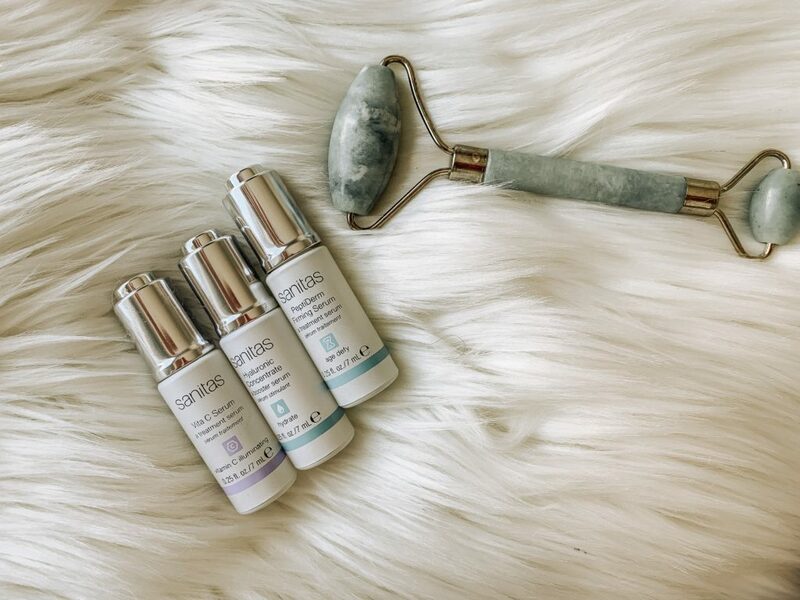 Upon looking in the mirror immediately after my facial, I noticed some of the unevenness was already improving and my skin even looked brighter! It’s so important to invest in your skin. It is, after all, our largest organ and is so often neglected. 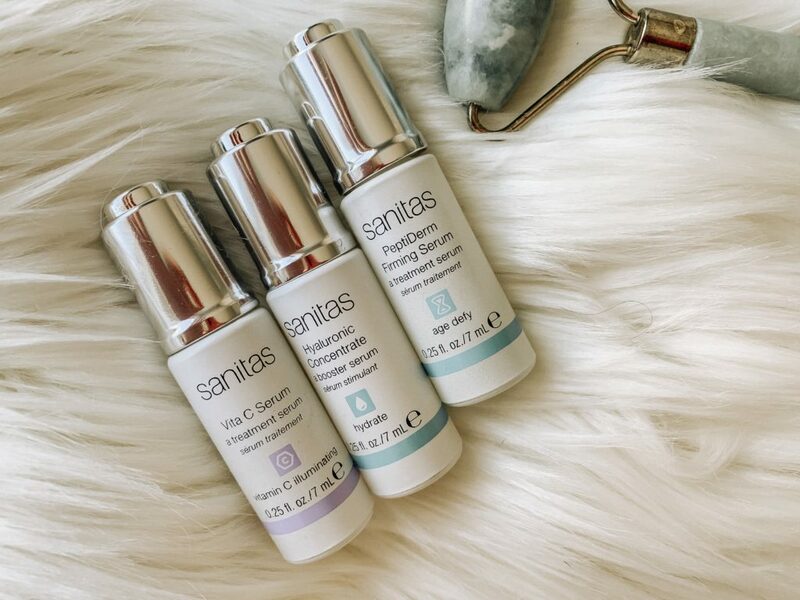 She gave me a sample set of Sanitas serums to take home and I am OBSESSED. I’ll definitely have to buy the full sizes from her when these run out, I’ve noticed such a positive change in my skin since I started using them. After the facial, I sat down with Brianne for a little Q&A! Q: How often would you suggest people come in for a facial, provided they’re taking decent care of their skin at home? A: I would suggest once a month. That’s usually best because your skin typically goes through a cycle every 28 days or so I like once a month that way you’re able to work on your cells each cycle which will keep your skin healthiest. Q: Have you ever met anyone with just, amazing skin without even trying, or does pretty much everyone need some sort of professional help from an esthetician such as yourself? A: Most people need help but honestly, my husband Caedon, his skin is like, flawless and he barely does anything. But usually even people with pretty good skin still need things like facial massage to help with blood flow and vibrancy. If you have great skin, regular facials are still good to get preventatively so your skin stays in good health as you get older. Q: Do you see a lot of men? A: I do see some, I haven’t had any here yet but at my old job I did see men once per week. Usually, their wives force them to come in the first time and then they realize they love it! Q: How long did you go to school? A: Just to get my license I went to school for 7 months. And then I’ve gone to a lot of extra schooling for more certifications like my microderm and peel cerificates, dermaplaning certification, LED, and just continuing education. I’ve been to probably a total of 2 years worth of school. Q: Whats the most common problem you see? A: Hyperpigmentation and uneven skin tone. Especially here in Colorado when your skin is dehydrated, it’s not as healthy and doesn’t function as well so people get sun damaged a lot easier. Q: If you could tell the whole world anything, what’s the one thing people should be doing at home to help their skin? A: Exfoliating! That helps almost everything! And using the right exfoliator. Q: What do you think, not only as a small business owner, but also as a skin care enthusiast, what are the benefits of going somewhere like Pure and Lovely rather than a big chain? 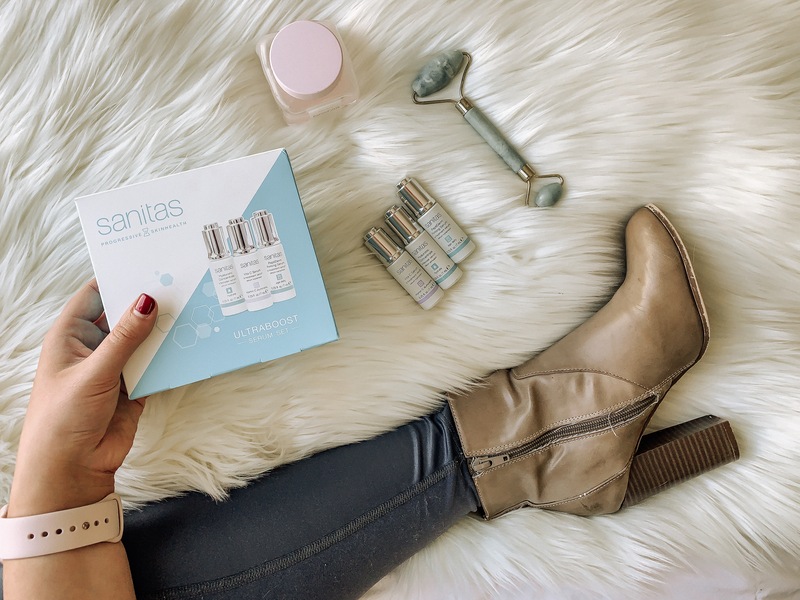 A: I feel like a small business in the world of skincare is more personalized and more customized. When you go to bigger places a lot of times you’re just in and out, just another client. But for me, I’m always customizing my facials to whatever your skin needs. I like to develop relationships with my clients, find out exactly what’s going on in their routine at home and what their needs are, rather than just wash their face and go. Q: What made you want to branch out from the chains and start your own business? A: Kind of for that exact reason. I really wanted to give people what their skin needs without charging all this extra money. Specifically with chains, protocols are very strict you have to do this and that for every single client, and everything costs extra. I wanted to be able to include all those extra things and customize the facial so that if they can’t pay $10 extra to hydrate their skin, they’re still going to leave with the benefit. Q: So you made it like a flat package without having all the add-ons? A: For the most part. If there’s other stuff to be treated, like bad acne, or really bad sun damage. That might cost extra just because the products I’m using cost more but if they’re needing like a hydrating treatment or evening out their skin tone or anything like that, I’m just going to include it. If you’re interested in booking the best facial in Denver with Pure and Lovely Skincare, use code “ALLTHINGSLOVELY” for 15% off! 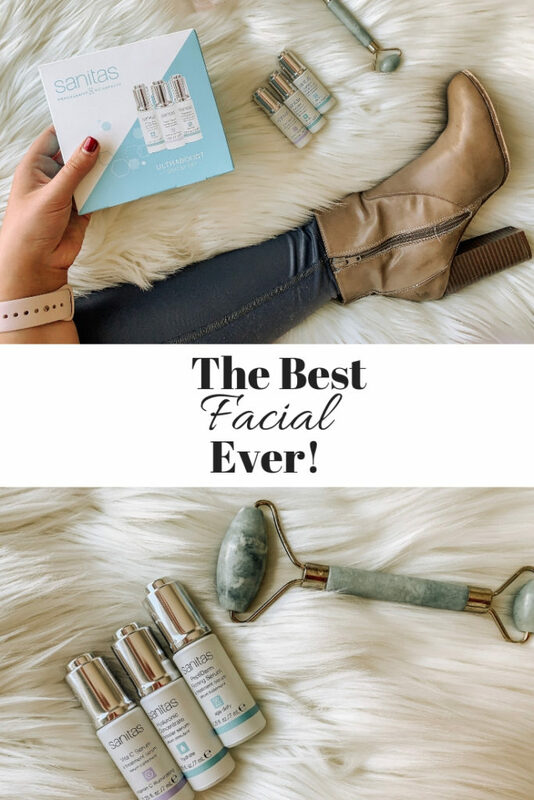 Loving this feature on where the get the best facial in Denver? Click here now to find out where to get your nails done!